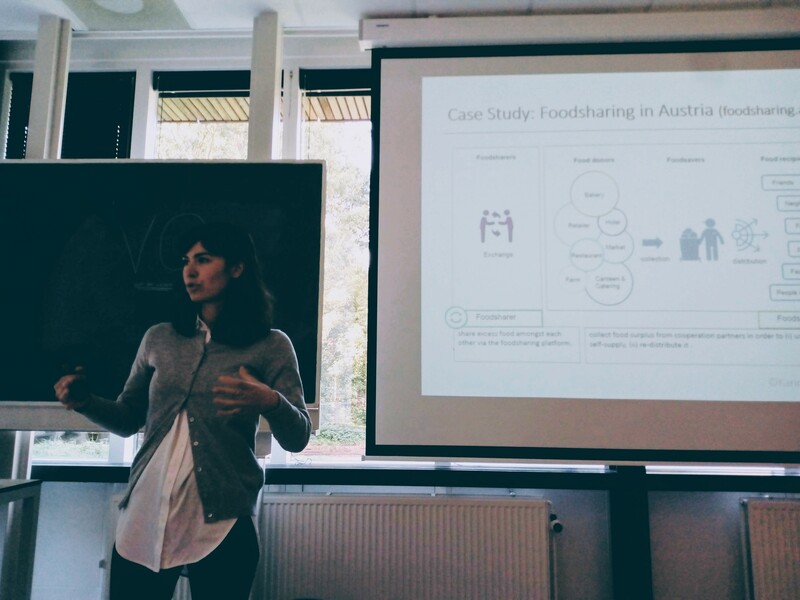 On the 25th of September, the Foodscapes cluster of the Centre for Space, Place and Society (CSPS) organised a critical food studies work shop on the food sharing economy. We invited Karin Dobernig from Vienna to talk about the research that she conducted with her colleague Karin Schanes. Karin gave a very interesting and inspiring talk on “Collective Action Around Food Waste: Investigating the determinants and characteristics of participation in food sharing initiatives”. After the talk there was plenty of time to discuss food sharing in more detail. We tried to link the concept of foodscape to that of food sharing, and raised and discussed various questions. For instance, to what extent is food sharing an urban phenomenon? When sharing food, who is liable and should food savers and food sharers accept responsibility? How is this organised in different countries? Also, to what extent does food sharing cross the binary opposition between consumers and producers? Who are the recipients of food sharing, and should they always be in need? There were no clear answers to these questions that can easily be reproduced here, but the discussion was insightful. This was the first activity organised by the Foodscapes cluster. We much enjoyed the presentation and the discussions. Hoping for more inspiring meetings in the future!